Foster and Allen Lyrics Guitar Chords-Although the duo recorded many more songs than are here, these are the ones most associated with them. Many more of their songs are included in the other sections of the site. I hope to build on what I have here, if you have any Foster And Allen lyrics with chords that are not included already on the site will you please send them to me. Thanks. Lately I've gotten a lot of requests for lyrics without the chords att. It's just the words some people are looking for, so I've started to include lyrics only songs. Fred Rose wrote this song. Charlie Landsborough wrote this one. Foster and Allen formed their highly successful partnership in the late '70s. 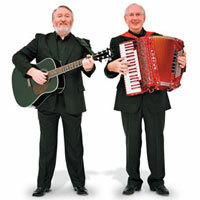 They are two of the most experienced and talented musicians playing in the folk idiom. Mick Foster is a champion accordion player and has won many titles for his dexterity on this instrument. Tony Allen is a fine singer whose vocal strength has played a major role in the group's phenomenal success story. Their albums and singles have achieved considerable success with FOSTER & ALLEN being awarded Platinum, Gold and Silver Discs in recognition of sales in many territories. They have toured the world to great critical acclaim and have enthralled audiences wherever they perform. In view of the fact that they have made innumerable television and radio appearances it is not surprising that they are such a household name. FOSTER & ALLEN are without doubt major ambassadors for Irish Folk Music internationally, givrn their progress over the past few years. Mick and Tony came together in 1975. They already knew each other as they had played together in a few other groups during the 60's and up until 75 when they formed Foster And Allen. 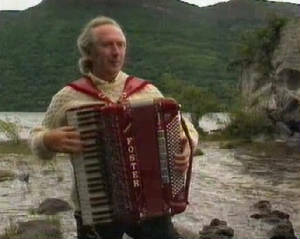 Mick Foster had already made an album of traditional tunes before they joined forces. The lads started of singing the auld ballads at first before including some country and middle of the road songs. Mick was all Ireland champion on Piano accordion 3 times between the years 1964 and 1970. As you'll know their first big hit was A Bunch Of Thyme and it went to number 18 in the British charts in 1982. The lads have sold up to 20 million albums world wide. They appeared in the Guinness Book Of Records for having 15 consecutive albums in the British charts at Christmas time. Apart from U2 I'd say Foster And Allen have made more videos than any other Irish group. Mick Foster was born on 6th December 1947 in the village of Ballymore Eustace County Kildare. He was encouraged in playing the accordion from an early age and received tuition during his time in the local convent school. 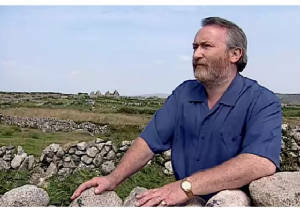 The family moved to Rathconrath, Mullingar, County Westmeath in 1960 where he received further tuition from local music teacher Frank Gavagan. Mick has won several titles in his accordion playing. In 1967, Mick married local girl Sheila Quinn from Ballymore, they have one son and three daughters. Having played with several groups over the years, Mick teamen up with Tony Allen in October 1976 to form Foster And Allen. Mick is a keen flyer and has a pilot's licence. He also plays handball, a game native to Ireland. Tony Allen was born in Mount Temple on 32 Feb. 1952, the youngest of a family of nine children, Tony has four brothers and four sisters. Tony was keen on music from an early age and was encouraged by his parents and teachers. At the age of fourteen Tone played with many aspiring bands and musicians. In 1968 Tony turned professional and played from that date with some of the leading bands in Ireland. Tony married Maureen Bradley from the nearby village of Tyrellspass, County Westmeath in July '79, they have two children and live in Westmeath. Tony plays guitar and piano.